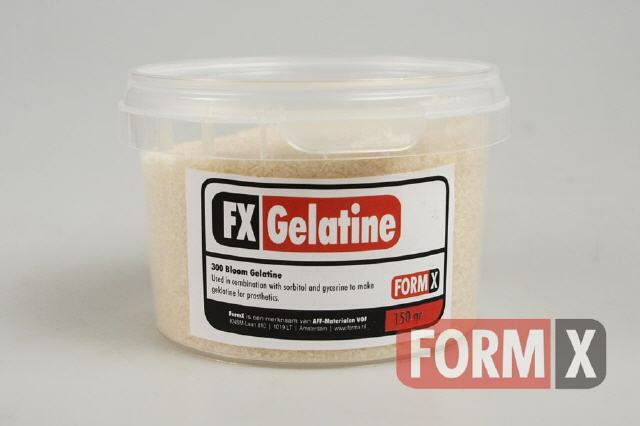 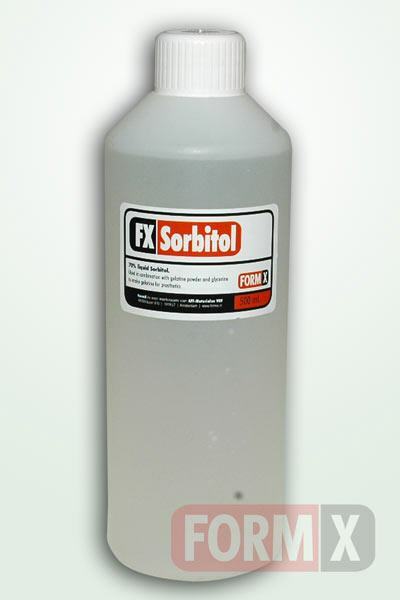 FormX Gelatine FX cubes are pre-made remeltable cubes that become liquid when heat is applied. 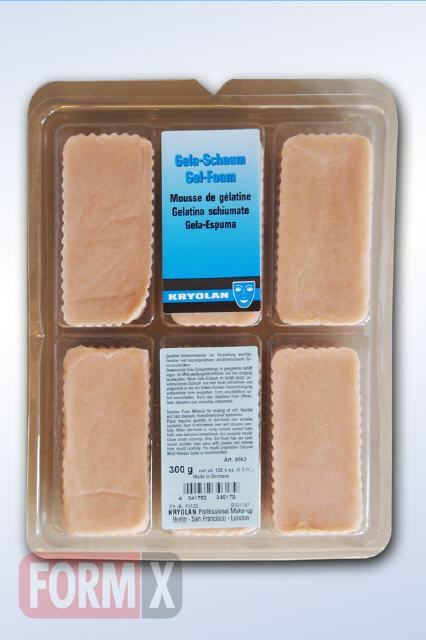 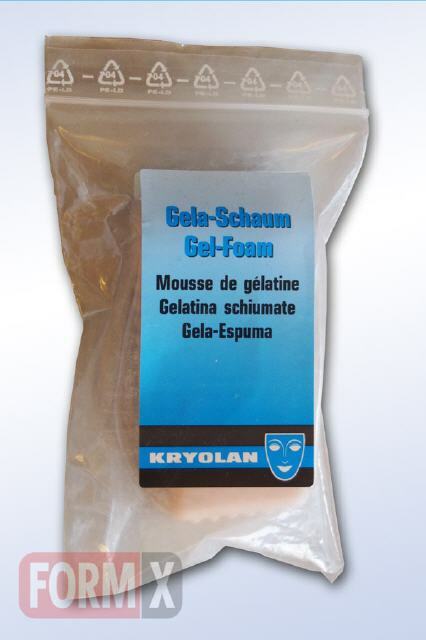 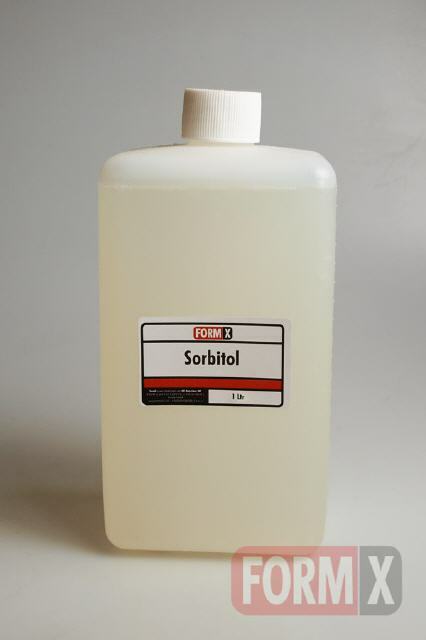 Prosthetic-grade gelatin; can be used to make gelatin compositions for molded prosthetics, butcan also be used in direct-to-skin gelatin formulas. 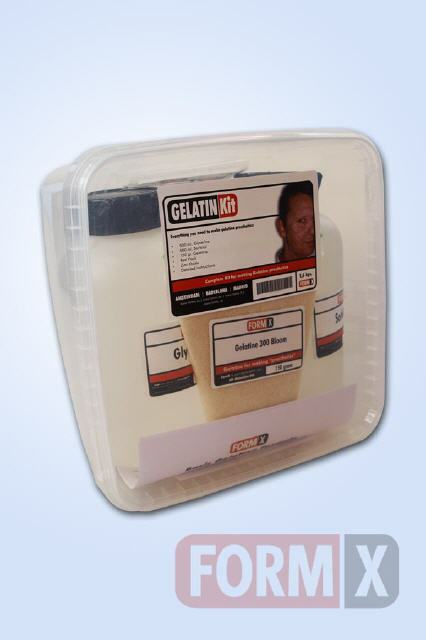 150 gram pot. 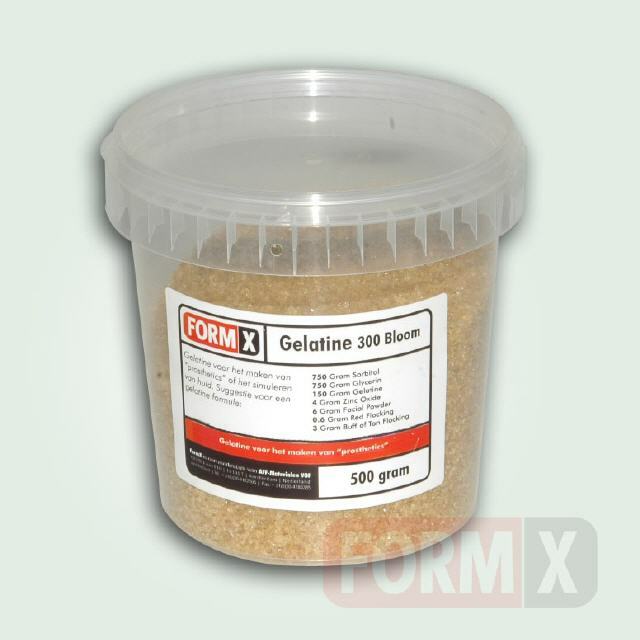 Gelatine 300 bloom, 500 gram. 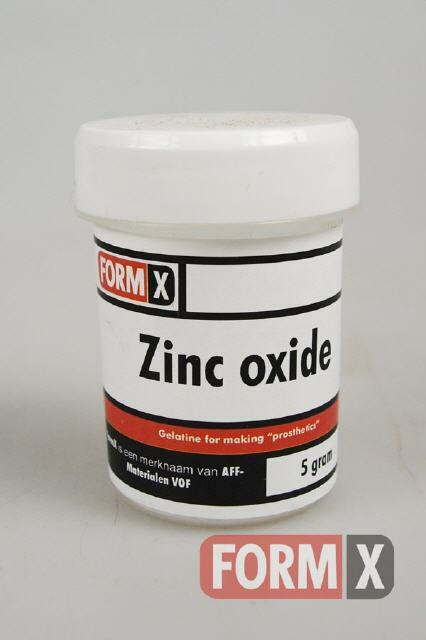 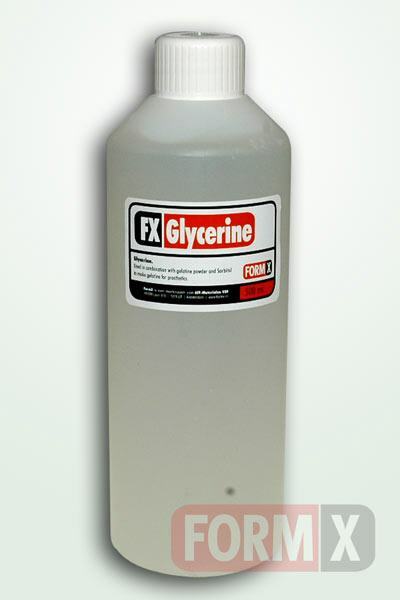 Glycerine for mixing with gelatine.